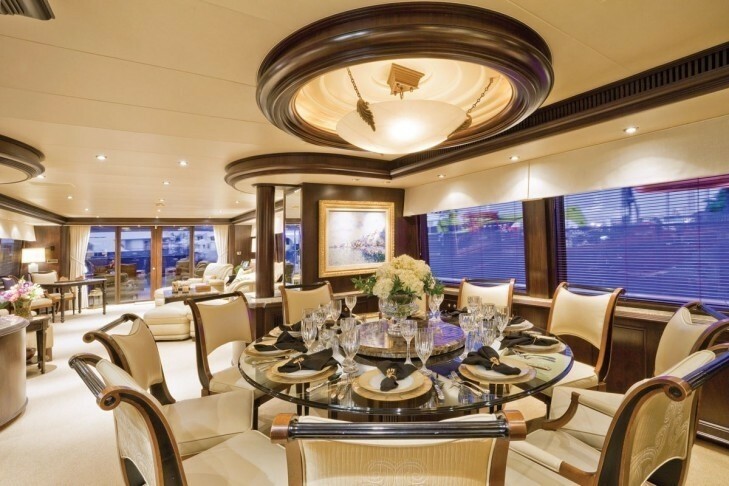 Motor Yacht SEA DREAMS (ex Life's Finest II) is a luxury yacht built by the highly respected builders Northcoast Yachts in 1995. 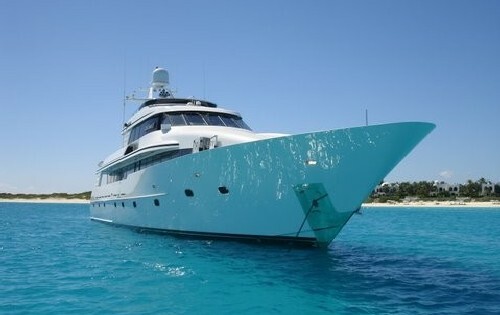 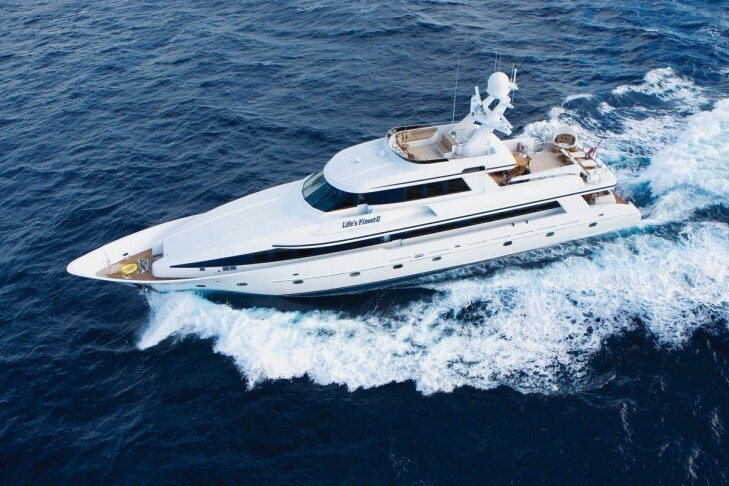 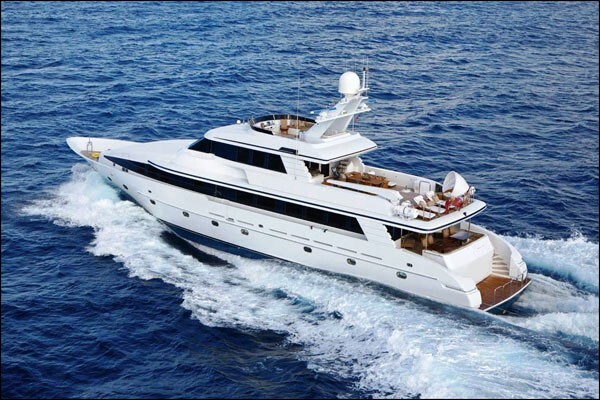 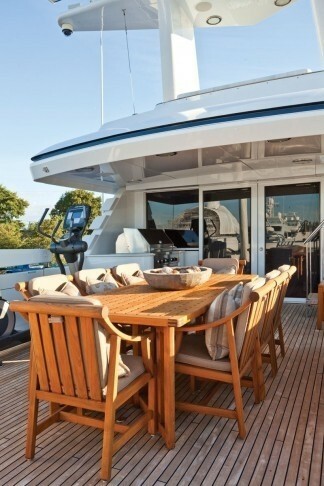 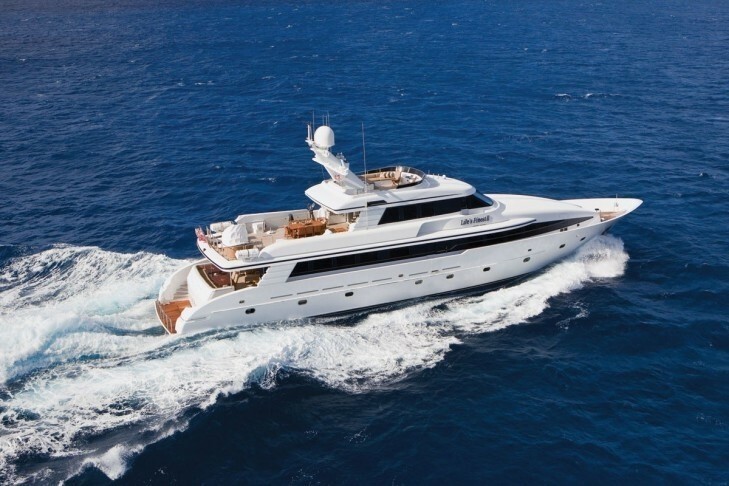 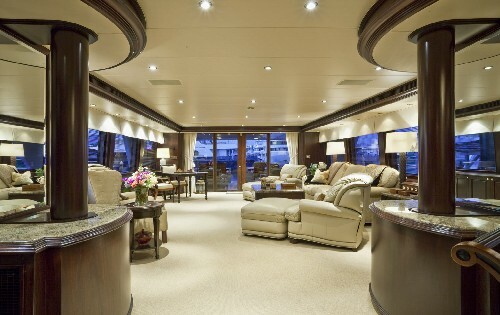 She measures 40.25m (132.1 feet) in length and is able to accommodate up to 10 guests in 5 luxury cabins. 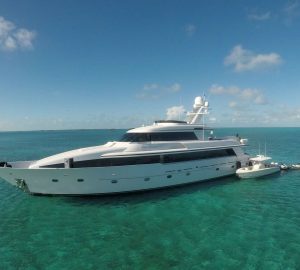 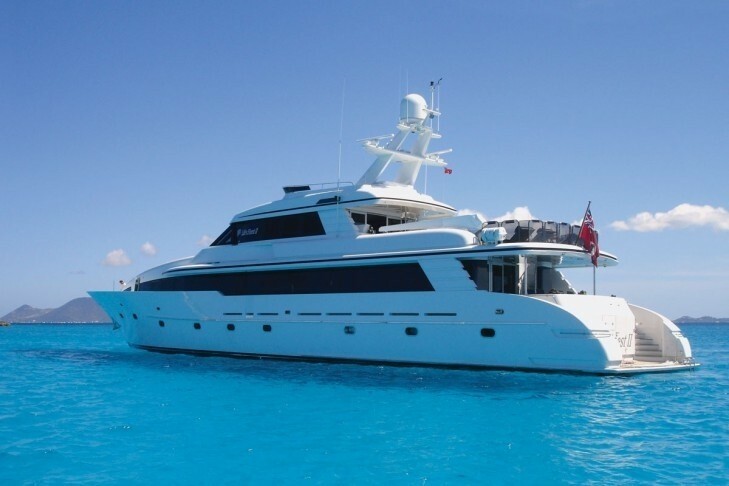 SEA DREAMS has stabilizers and air conditioning throughout and is well equipped with all the amenities for a perfect charter. 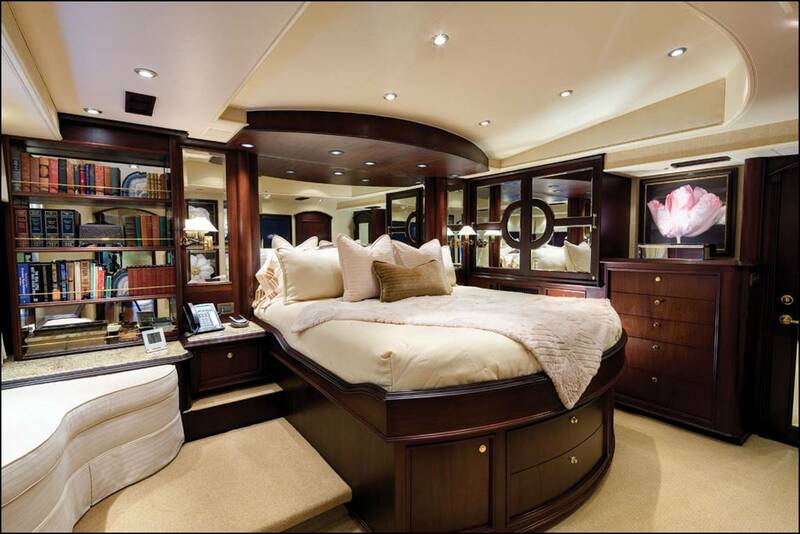 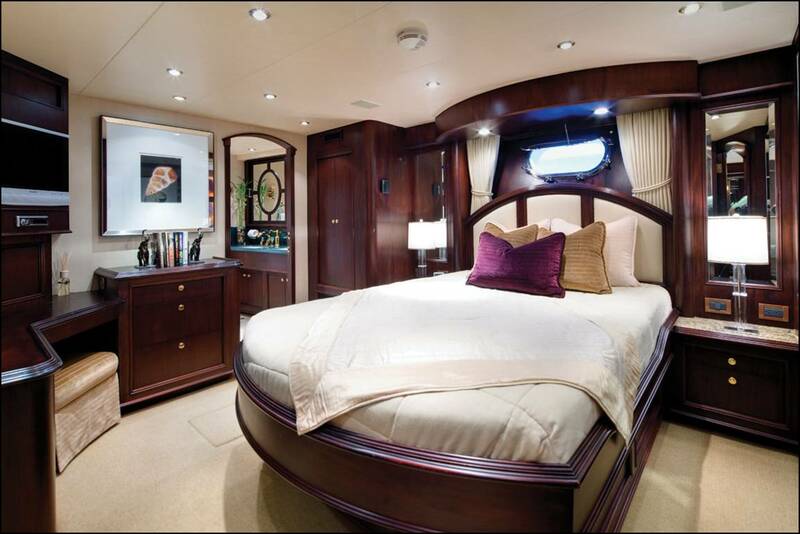 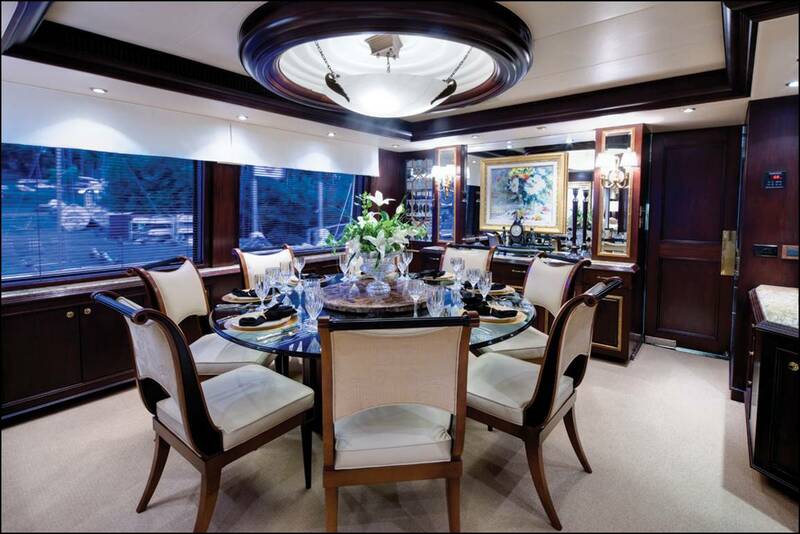 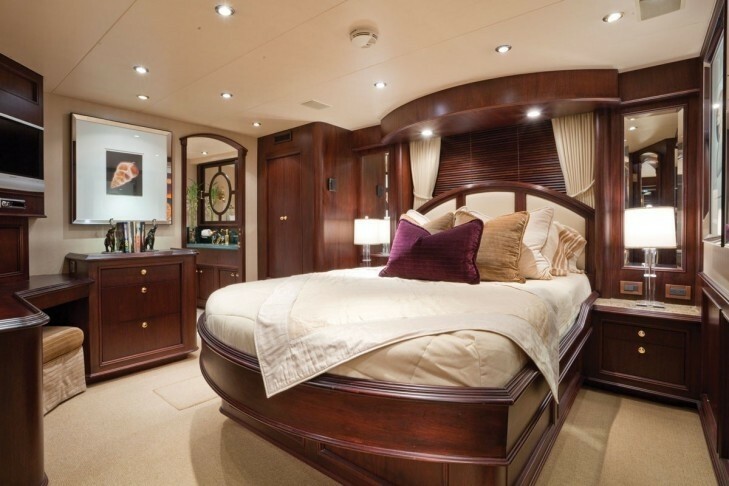 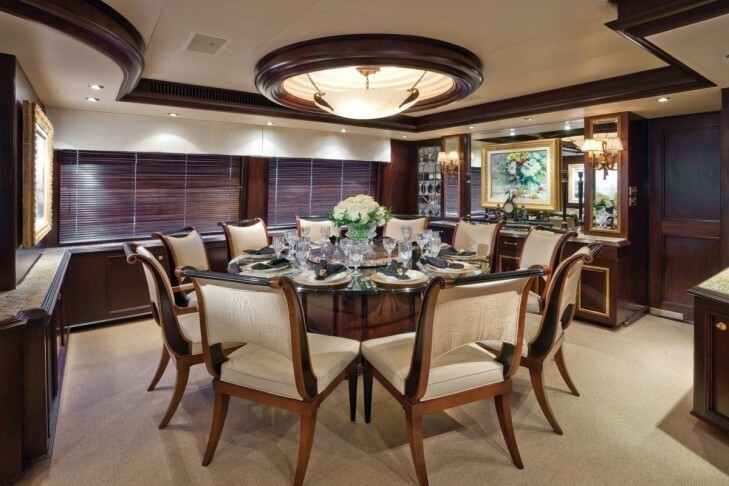 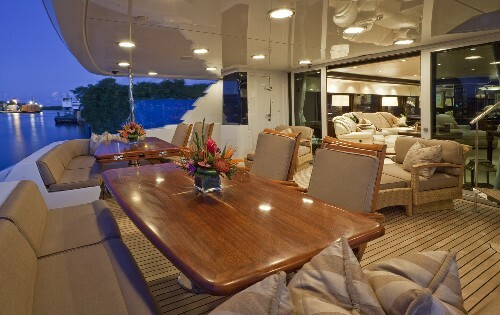 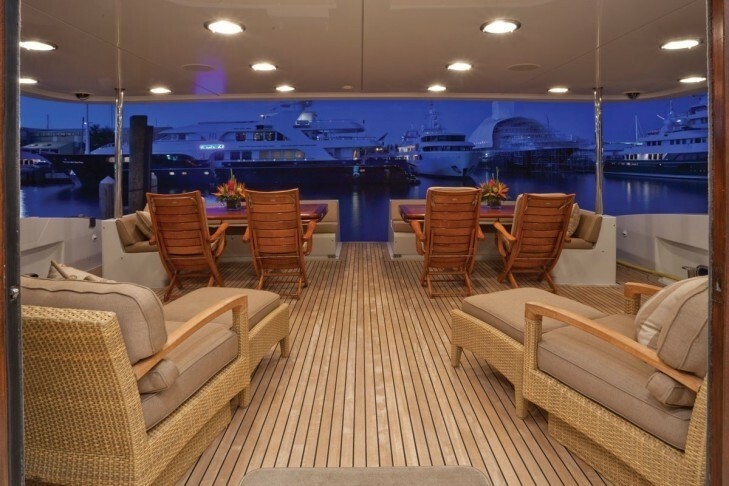 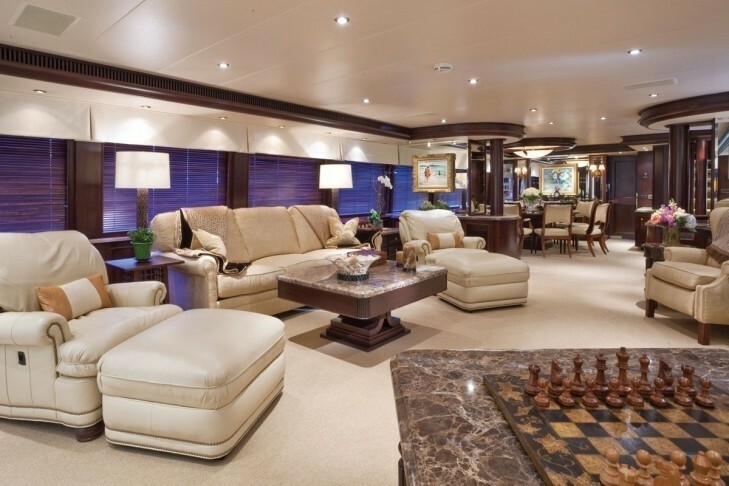 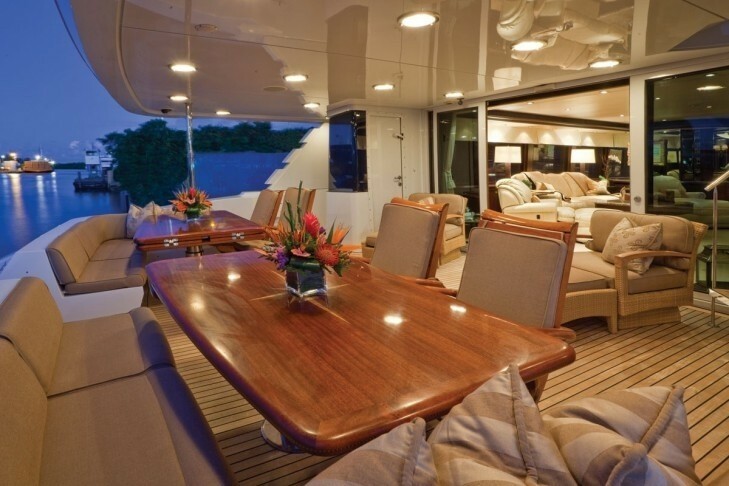 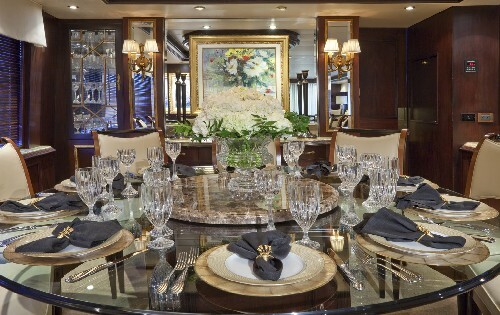 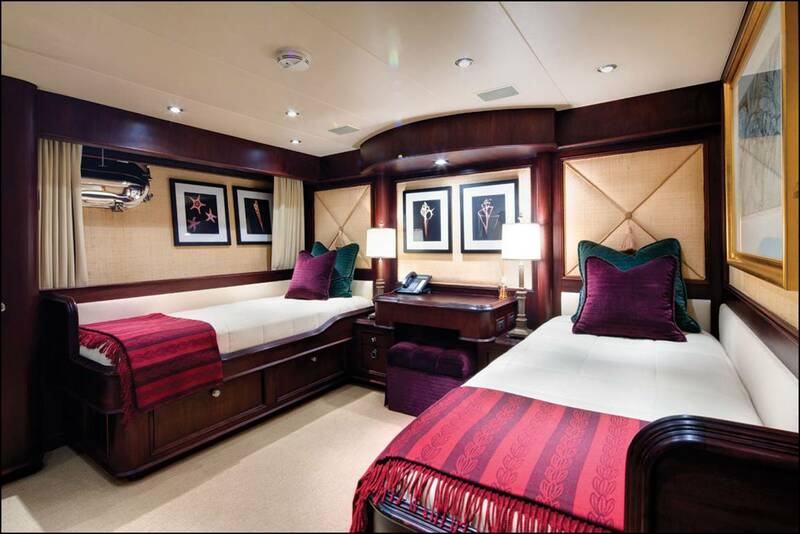 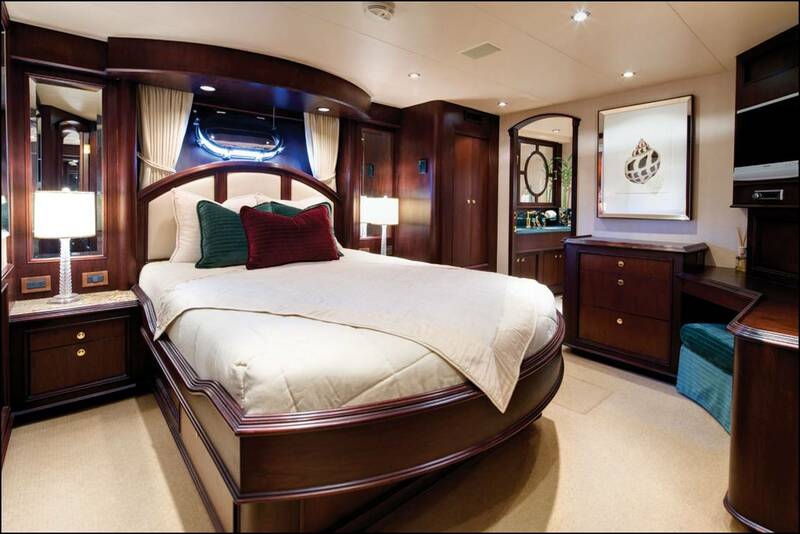 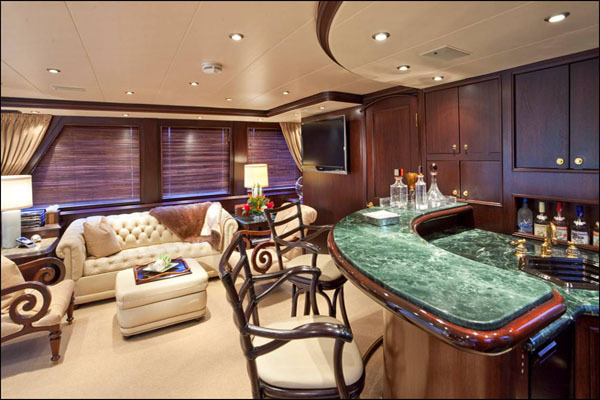 SEA DREAMS motor yacht has a classically elegant interior, decorated mainly in neutrals with high gloss dark wood, marble finishes and luxury drapes and velvet cushions. 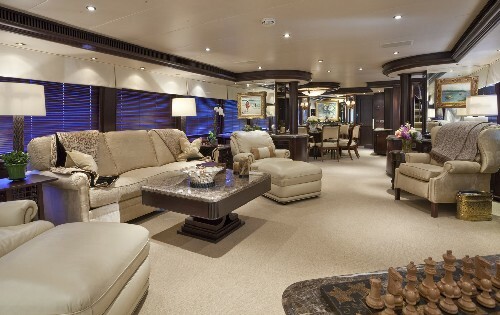 She has a large attractive main salon with plush sofas, traditional artwork and a chess table, and a formal dining area further forward. 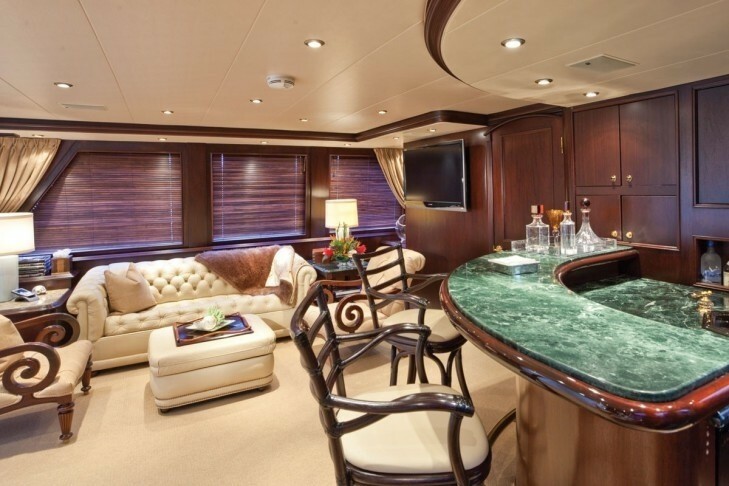 There is also an attractive sky lounge with more sumptuous sofas and an elegant club style bar for aperitifs and after dinner drinks. 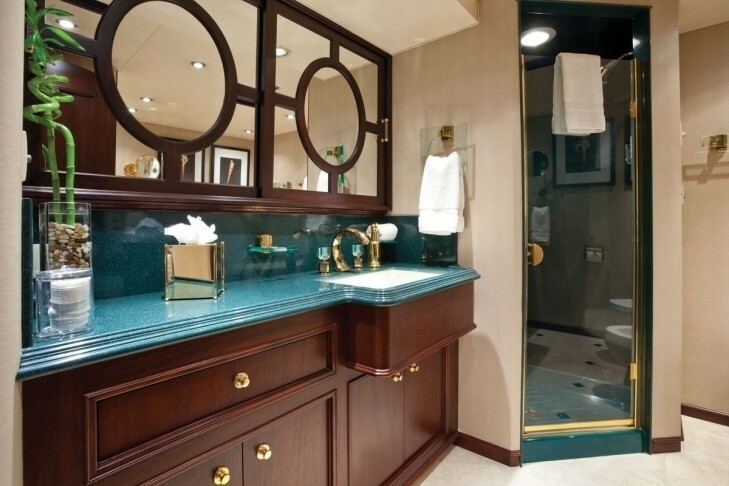 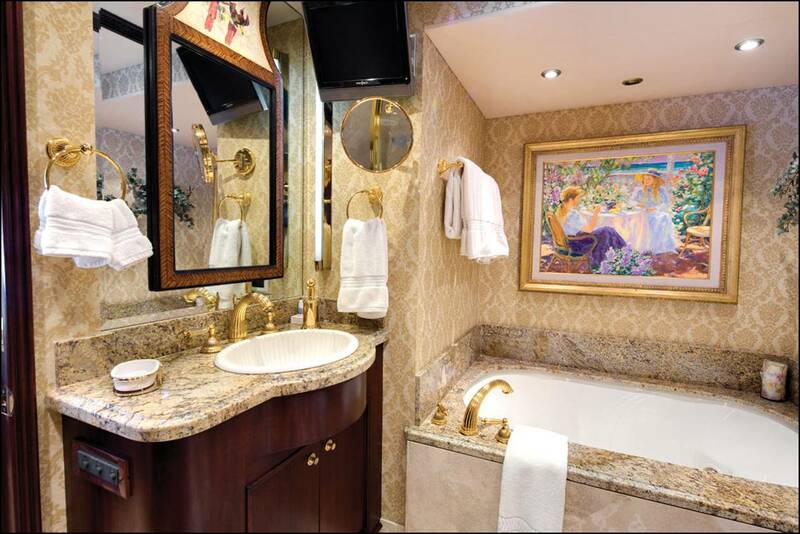 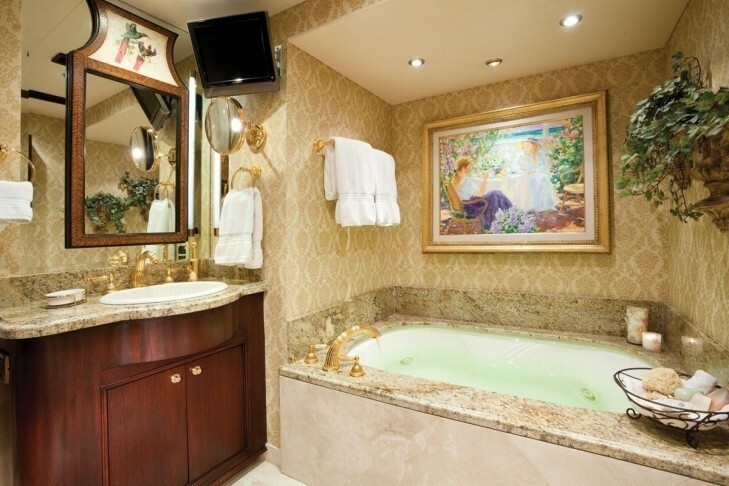 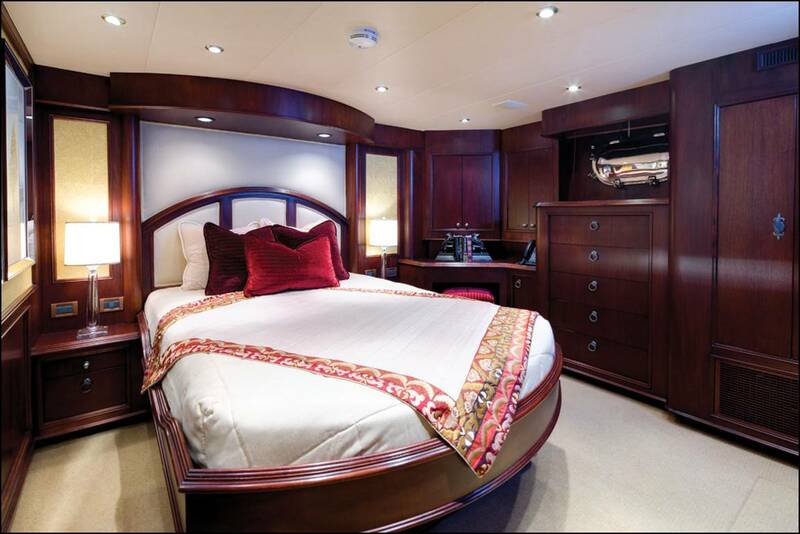 SEA DREAMS boasts a desirable main deck master stateroom with walk-in closet plus four additional staterooms below deck including three queens and one twin; all with en suite facilities. 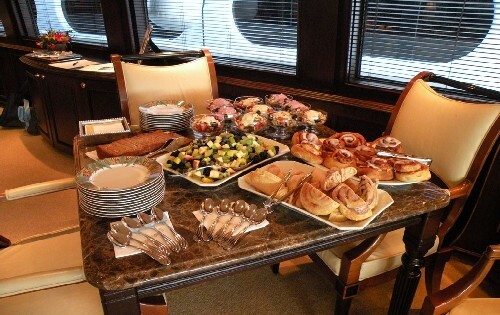 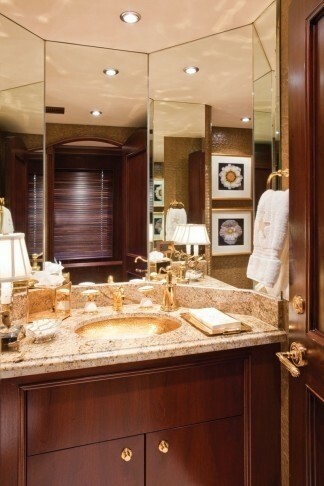 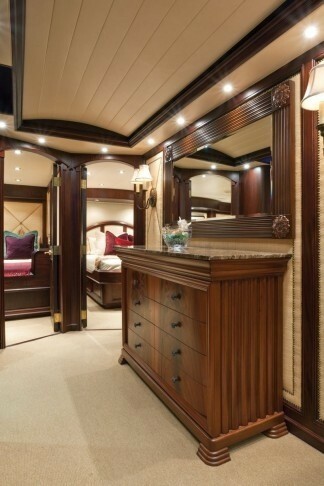 The rich mahogany throughout is offset with soft, neutral tones that will appeal to everyone. 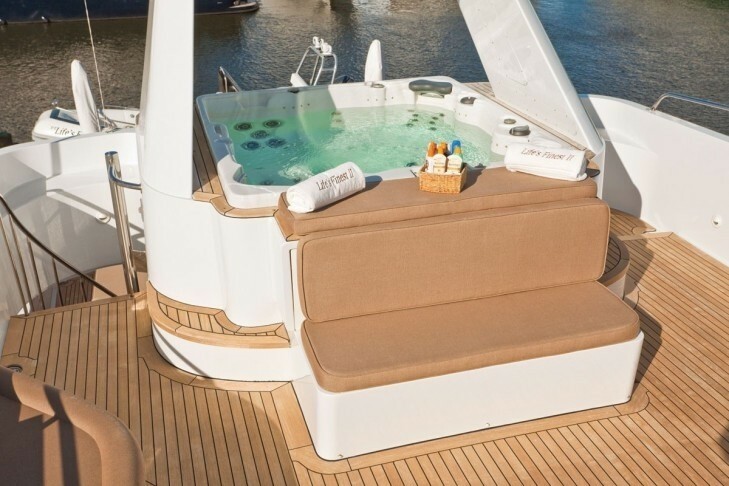 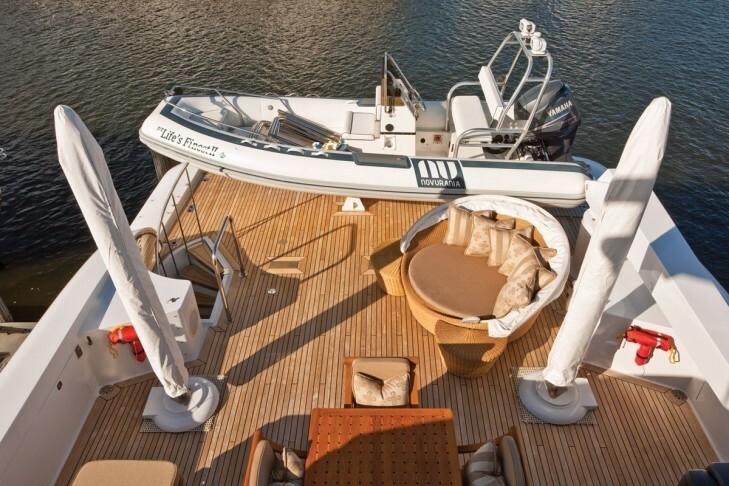 There is a good sized area aft on the main deck for alfresco dining, and an attractive upper deck with ample sun pads for sunbathing, and a large raised Spa Pool where you can enjoy an afternoon cocktail and take in the view. The swim platform gives you easy access to the water, so you can board the tenders easily or jump into the water to enjoy the great range of water sports. 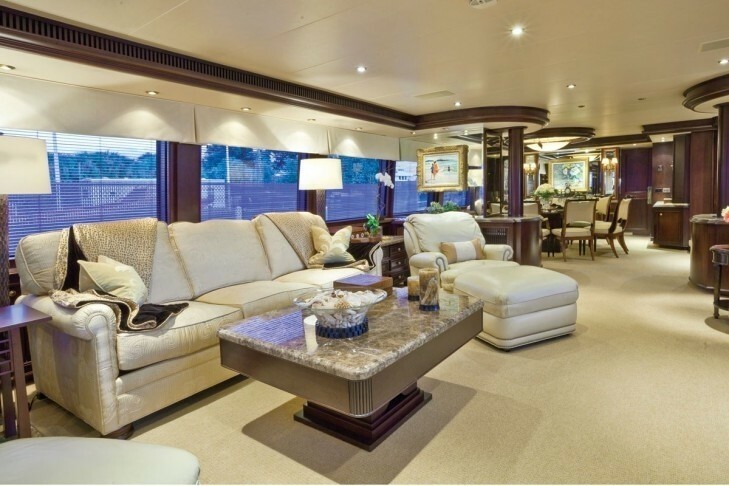 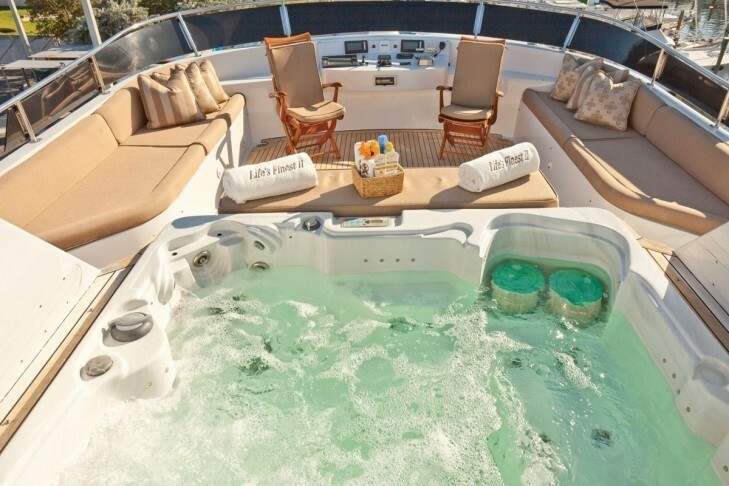 Luxury yacht SEA DREAMS (ex Life's Finest II) offers a range of indoor amenities, including Internet/Wifi, TV, DVD and CD player with well-stocked libraries. 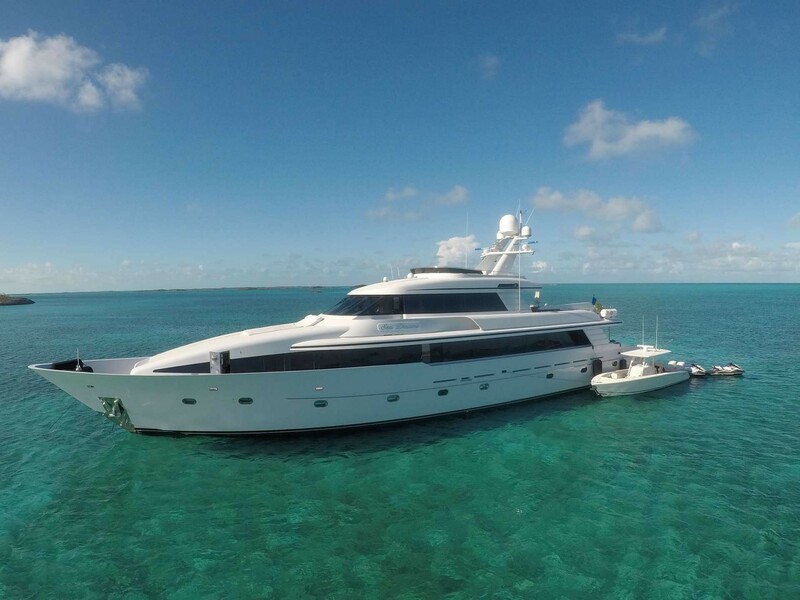 She also offers a good range of water sports, including: 2x 2012 Yamaha Jet Skis, 1x 30 feet Tow behind Proline Center Console with twin 250 HP Engines, 1x Kayak, 2x Paddle Boards, Snorkel Gear, Scuba Tanks and Gear, Inflatable Water toys, Wake Board, Water Skis. 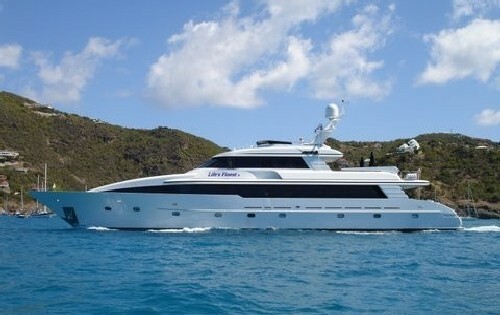 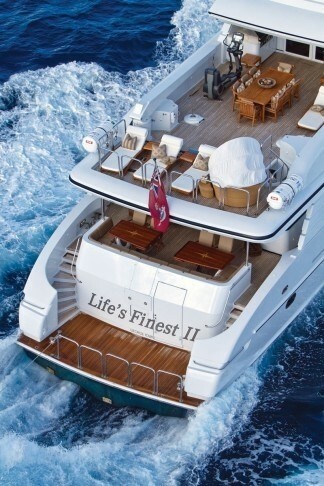 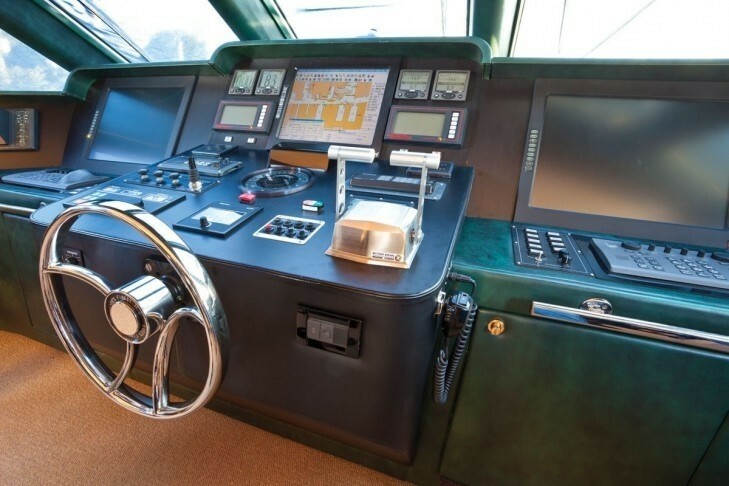 This yacht has 6 crew, and cruises at an average speed of 14 knots, reaching a maximum speed of 21 knots. 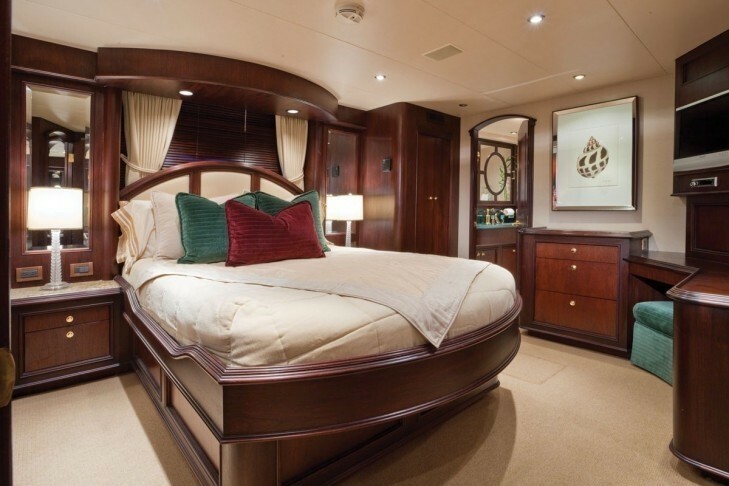 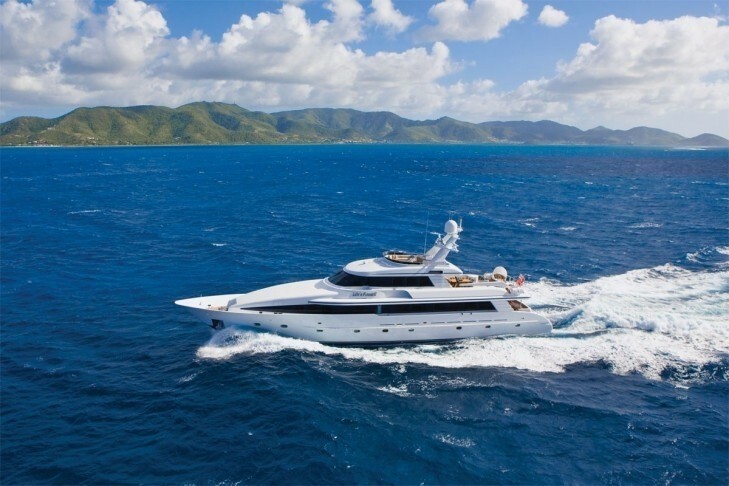 The SEA DREAMS yacht boasts a desirable main deck master stateroom with walk-in closet plus four additional staterooms below deck including three queens and one twin; all with en suite facilities.